I can certainly understand why it needs to be done. It seems to vary between museums though. For example, looking at photos, it seems like this painting is out in normal lighting, it even looks as though there might be a skylight there. Which considering it's no longer in the best condition even after they restored it seems rather strange. I've finished all the blossoms so that's the foliage part done. It doesn't look like many but they add up, you can now see all of them too even the faded to nothing and the half missing ones. Next are the trunks and the shoots, I'll be doing more of the waves too and probably something else like the sky (perhaps). I did start on the gold diagonals on the trunks last night but it looked really bad with a linear gradient so I did a conical gradient which looks OK. I'll see how far I can get for next Sunday night. It's ironic how you're painstakingly recreating this image in Affinity Designer that for years was the iconic face of Adobe Illustrator. Something weirdly satisfying I bet. When AI started using the image, the fine arts department responded by having a class where the people using traditional media were given the assignment of doing a replica in paint, ink. watercolor. There was a lot of tension between those doing physical, aka analogue, and those doing digital. Don't know that it ever was resolved except for photos, and then, only when film was no longer available. It would have been easier sticking to her head like they did. I still think digital art is looked down on a bit compared to traditional media. In a way you can see why, some things are easier digitally for example picking colours, gradients, undo, redo... But then traditional artists have used optics, camera obscura's and now projectors to transfer their work. So even traditional artists like using tech too. Next are the trunks and the shoots, I'll be doing more of the waves too and probably something else like the sky (perhaps). That the piece is in skylight lighting makes sense. 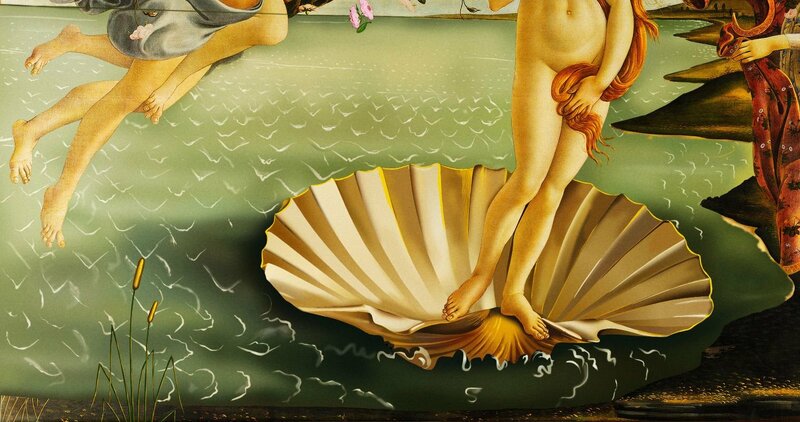 The "Birth of Venus" and other works are in tempera. AFAIK, tempera uses all inorganic pigments, at least when Botticelli was working. The same stuff used to color frescos. But anything like azurite, which might have been used on the sky, has long since faded. So no longer any harm showing it under day light. I have to wonder, how are you going to make a shorthand of all of the wave whitish foam lines? Ah OK, so they don't need to be so careful. The greens might disagree though, haven't lasted as well as other colours. I'm unfamiliar with this word shorthand. It's going to be the hard way. I've made a small start on them and they're not too bad just a bit boring to do, although the fainter foam is a slightly trickier. I think the background of the sea is going to be harder. But it's all quite hard or long winded or both. Reading your posts inferring number of vector objects and cleaning down layers once you have completed sections....I adopted have similar techniques as... eventually AD will slow down in relation to the number of objects and layers (I was still impressed by the actual number it can cope with). Thanks, the leaves and blossoms are the easy bits though. I changed my mind and started working on the sea as it's one on the make or break bits (just started the shell too). Not as easy as I hoped but that's not a surprise. AD's not too thrilled with exporting it, it takes about 7 minutes for JPG, think it must be the large blurs. That makes me sort of wonder if it will manage to export it at all when it's finished but it should be ok.. It does start to work harder. I'm on the mac and use Turbo Boost Switcher to turn off turbo boost which keeps the CPU from running away. There's ways to do under Windows too, I think the Intel CPU tweak utility lets you. Yes the same size documents does make things simple, I did that on the Jag where I did the wheel and tyre in a different doc, but with this image being huge I thought the registration way works better for this particular one. I do use the group effects sometimes (if that's what you meant) but it depends on what I'm working on as often pretty much everything's different so I end up doing them for each object. I do get a bit fed up of having to check the Scale with Object option a million times, have I missed where you can set that as default? The other one is not being do an average colour pick for gradient stops. I'm having to use some rectangles as temporary "stops" as below, use the eye dropper with 5x5/17x17 average to set their colours then transfer that to the gradient stops, bit long winded if you have to do it often. Perhaps I'm stupid and missing something but I'm not sure AI's any better. 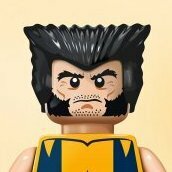 I'm going to be starting some pretty big icon projects for people so this might well take even longer than I thought. I was going to say that for remembering the 'scale with object' I tend to create a style for it as it remembers the settings....But...It does not work in latest beta. In live version the creating style with scaling applied... is copied with the style...I just tried it wit beta and does not seem to work.. I'm cheating a bit with gradients especially on the waves. If they look about the same that's good enough, I do one and then copy & paste the style. I just have a few basic wave ones in a palette. Like you say they can become confusing and naming them often doesn't really help, by the time you've found the right one sometimes you may as well have done it from scratch. You soon instinctively check the box when the fx panel comes up but it would be nice not to have to. 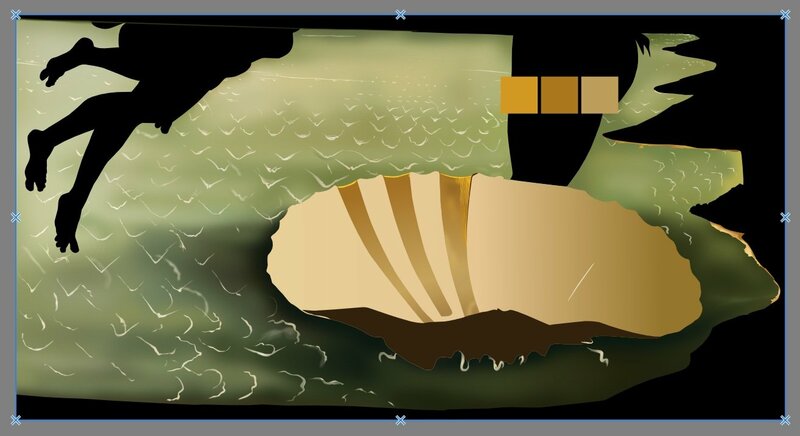 Oh that screen grab shows how I often do the initial block of colour, I looks for a gradient and use that. 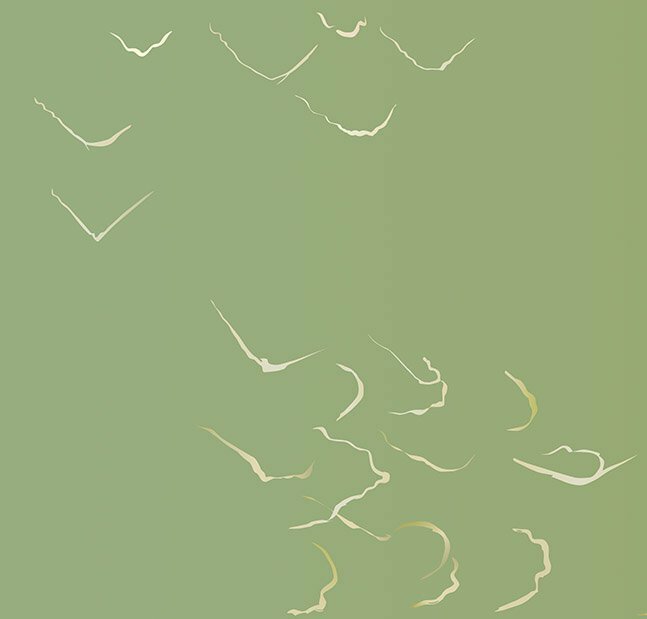 Although in this case I think the shell gradient might be completely replaced with detail. I can't decide if the edging around the shell is colour or gold. Time for obvious tip of the day. 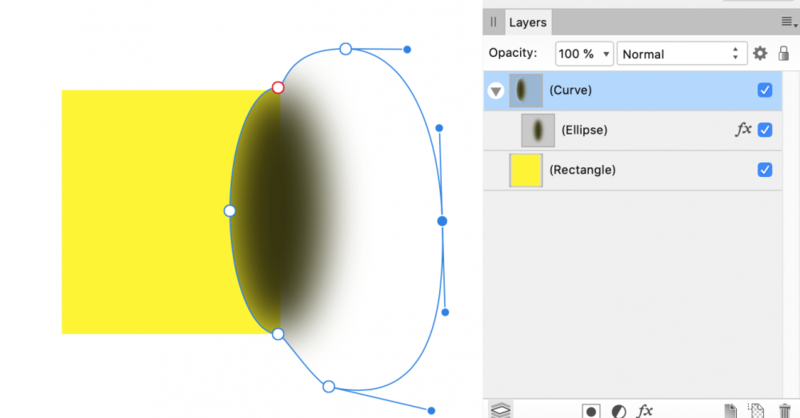 Sometimes you want to blur something, for example for a highlight or shadow, but not go over part of the surrounding area. You might want to blur to one side of a thin line and you can't hide the unwanted blur under things. A dumb example (probably other ways to do it but I do it this way)... You don't want the blur to go on to the the yellow, you want a hard edge and just blur away from it. 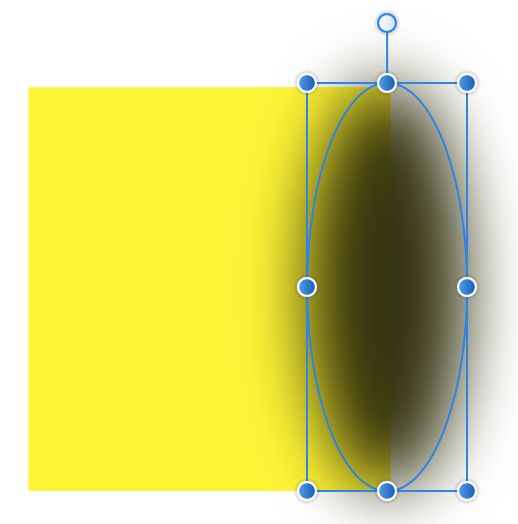 I duplicate the shape and use the duplicate as a container, so clear out the stroke/fill etc. Then make the original the sub-object and drag out the container so that the blur isn't clipped. If you want the edge to be less sharp add some blur to the container. Also adding blur to the container means you can also use this to have a different amount of blur each side. This is as far as I could get this week. Just the sea, shell, some reeds and the flower. Not the people or land I just quickly masked them in so I could see if my stuff blended in. 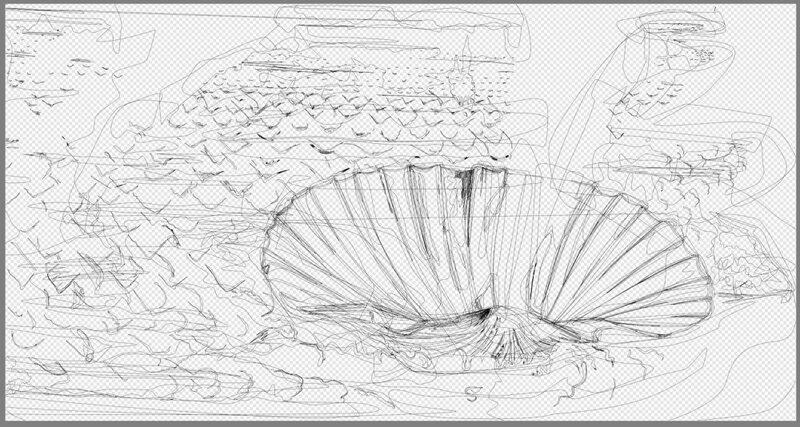 The sea and shell still need more work (obviously), the sea mainly below the shell which is tricky. I started on a few other bits like the sky and the flowers below the lady on the right, it's hard to make out what's what with them, But not finished them either. I used the google 30k image for the sea colours but will add a colour or gradient overlay on the sea background to brighten it up a bit and probably add a touch of blue to it too. It's not easy trying to approximate the dry brush strokes, I'm just making them quite transparent then adding a blur. Oh, I was doing the sea and shell in the same doc. but it started to kill my macbook sometimes, cursor was jumpy, so I split them. Each bit is a project on its own. Even something like the falling flowers, you have a quick look and think there's only a few but there's 30 of those.Only 29 to go. The outlines is just the sea and shell.